Now less than two weeks before the season opener, all signs point to Andrew Luck being sidelined for Week 1. The Indianapolis Colts will open the 2017 season against the Los Angeles Rams on the road, and we are now 13 days away from that point. 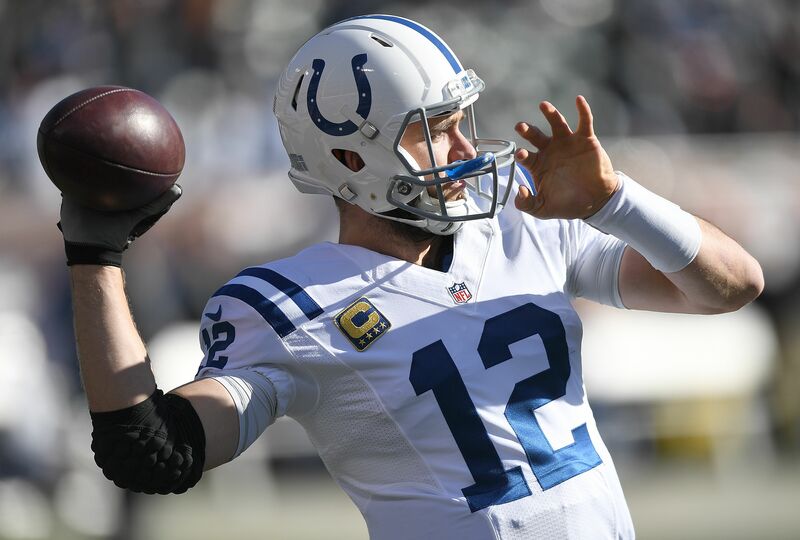 Quarterback Andrew Luck has not yet started to practice after offseason shoulder surgery, and a removal from the PUP list does not seem imminent. There is serious doubt about his status for Week 1, obviously, with the most optimistic take coming from Colts’ owner Jim Irsay suggesting Luck would be ready “around” the start of the season. If Luck remains on the PUP list once 53-man rosters for Week 1 have to be determined, he would have to miss at least the first six games. To think he will miss the entire season is aggressive, but missing at least one game seems all but certain no matter what the team says (or doesn’t say) about Luck’s timetable. Zak Keefer of the Indianapolis Star has now added to the lack of optimism around Luck’s health. #Colts season opener in 13 days. Barring a somewhat-miraculous turn of events, have to assume now that Andrew Luck misses it. Colts head coach Chuck Pagano seemed to be just as resigned to Luck missing time later on Monday. Even if he only misses one game, which seems pretty optimistic right now, Luck will surely take another couple games to get back to full strength and completely knock the rust off. Two of the Colts first three games look winnable (Rams-Week 1 and the Cleveland Browns-Week 3), no matter who is playing quarterback, and a Week 2 home game against the Arizona Cardinals could be a loss even if Luck is somehow 100 percent healthy. Luck’s health, or lack thereof, creates a wide range of outcomes for the Colts this year. If he’s available for 15 games, assuming he’s out Week 1, a run toward the AFC South title is possible. But if Luck’s shoulder is an ongoing thing all season, and it very well could be even if he’s active for Week 1 or Week 2, another disappointing season is in the offing.